ART BIKERS: Brainstorming Session at The Green in Fairview! 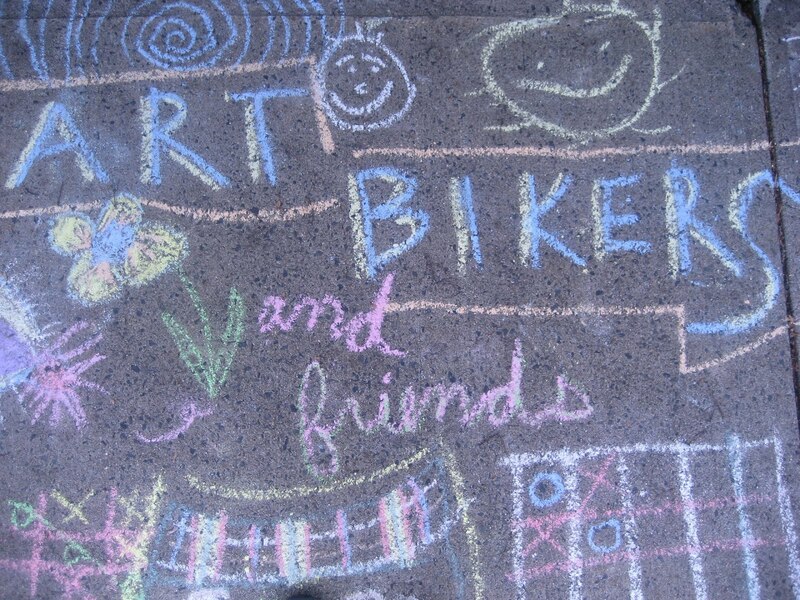 The Art Bikers will be at The Green - a special gathering space for many children and community folks in Fairview at the end of Randall Ave - on Saturday, June 16th from 11:30-2:30 for this season's very first brainstorming session! Art Biker Devon is holding up a giant scroll that we will use to keep track of all the great ideas! Write, draw, doodle and share your art ideas with us so we can plan our dates and projects together!